Beautiful contemporary brick home on private cul-de-sac, features 5 spacious bedrooms (one on main level) 3 full bathrooms, a large movie room and private office. Gorgeous hardwood floors lead to a huge open plan kitchen with stainless steel appliances, granite countertops and oversized island. Cozy living room has a beautiful coffered ceiling and gas fireplace. The large back deck has bookcase designed lighted stairs that take you to a gorgeous stone patio with gas fire pit and a custom built stone sitting area with endless possibilities for entertaining. 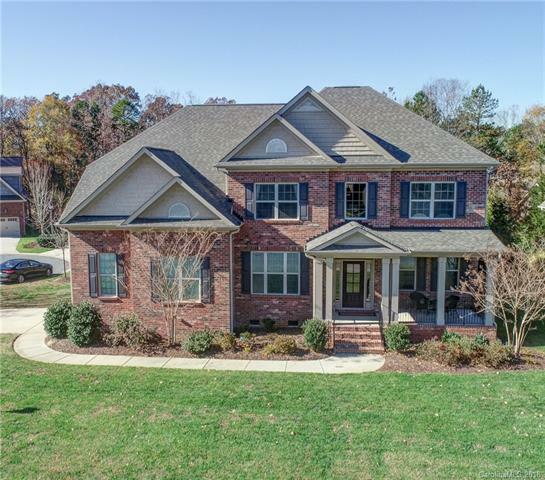 Union county living minutes from I-485!